The Museum of Science and Industry in Manchester has announced its first Science workshop for Key Stage 3 pupils. Seeing Sounds is a full day of structured activities for Key Stage 3 pupils, the first ever made available for this age range at the museum. Described as fun, vibrant and surprising, the day will challenge students to explore the concepts of sound waves in a cross-curricular, creative context, working as part of team and reflecting real working practices. The participatory science show will introduce students to the key principles of sound waves in the Power Hall, which is full of clanging wheels and hissing steam. Their task is to record, analyse, mix, and finally present their own musical piece, blasted through a Rubens’ Tube – a visualization of sound waves via fire. Doing and leading, students should develop independent learning skills and joined-up thinking across STEM subject areas. What will your class learn? By experimenting with a Rubens’ Tube, students will see that sound occurs when a vibration creates a longitudinal compression wave, pushing through a medium (gas, solids or liquids), before travelling into our ears and being interpreted as sound. Pupils will also discover the principles of sound waves (wavelength, frequency and amplitude) from working inside a room full of sound. Additional educational elements of this workshop include using an oscilloscope, learning about sine waves, predicting wave form, and presenting to a group. 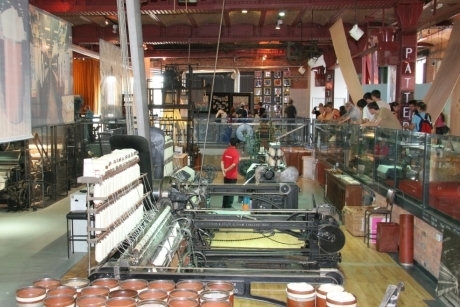 The Museum of Science and Industry hosts a variety of workshops throughout the year covering a range of subjects, the most popular being Science. Specific workshop topics include textiles, how engines work, the revolution of Manchester, and the journey of electricity. For further school travel information visit www.msimanchester.org.uk/schools. We round up five gallery experiences that teachers should have on their radars in 2019, teaching children about everything from Art to Technology to Engineering.